$150. 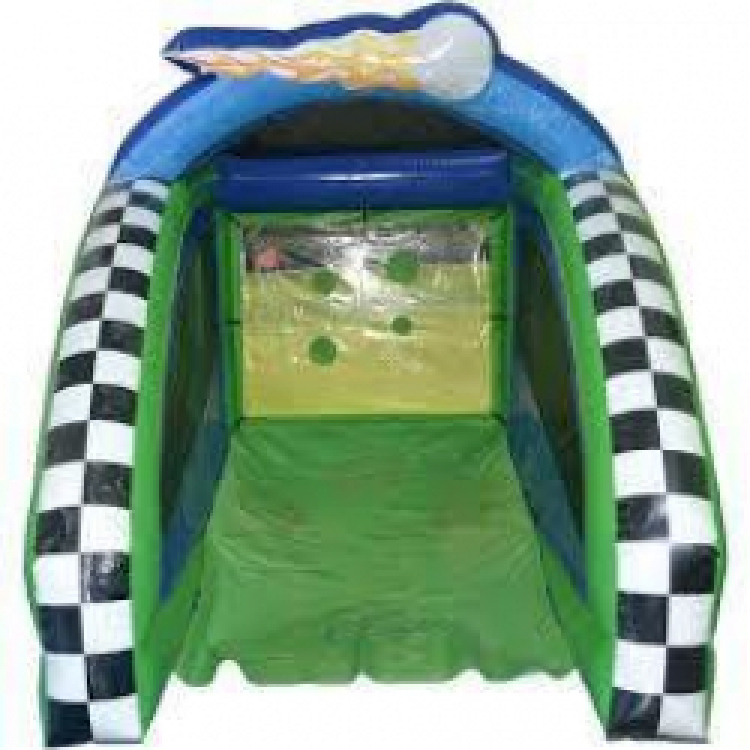 Take a swing to see if you can get a hole in one with the Mini Golf Game interactive inflatable. Drive the ball up the green, keeping it between the sides of the inflatable. There are four holes to try to get the ball through, each one is a different size. Players can take turns to see who can get the most balls in the holes or who can get a ball in a specific hole. It can also help golfers practice their chipping away from the course. Colorful golf-related graphics and bright colors will make the Mini Golf Game stand out at your next event. Measures 12x9x10 with 1 hp blower.